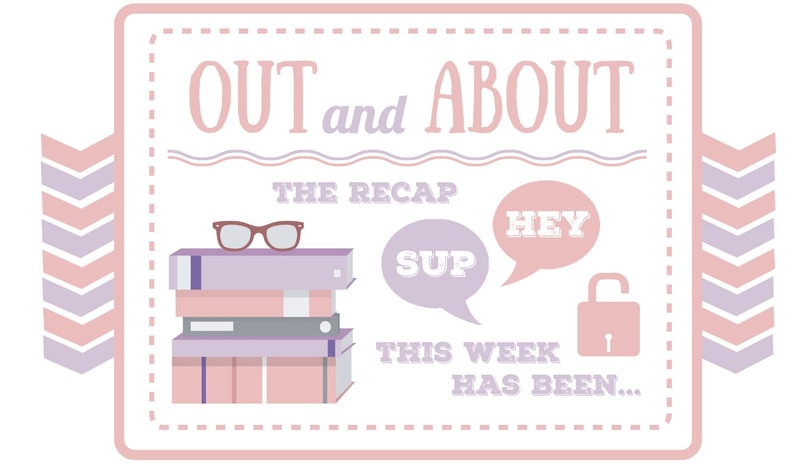 Out and About is a feature here in Defiantly Deviant where I post about upcoming book signings and the like, and where I recap bookish events I went to! The day didn't really start out the best of ways (for me, at least! ), I woke up late - evidently breaking my streak of showing up to these events on time, and pretty much shooting down my plans of arriving at the venue early enough to catch up with my fellow bloggers. Don't worry, guys, thanks to Uber (I swear this post isn't sponsored or anything like that), I ended up only around 15 minutes late. I missed out on Leigh's big entrance, but thankfully, I managed to catch the bulk of her (meaty) answers to everyone's wonderful questions! If Leigh really, really had to choose an amplifier (but she doesn't want to since she loves animals! ), she'd choose the firebird. Leight has a horror story coming out in the book 'Slasher Girls and Monster Boys', which releases in August. She also has another story coming out in Stephanie Perkins' new anthology called Summer Days, Summer Nights which will be released next year. Leigh reckons that everything she'd ever write will have a fantastical element. She enjoys writing stories that our set in our world but have a magical element, and she sees herself writing more stories like this in the future. Leigh rarely cuts scenes since she has a general outline of the books. She does end up writing more scenes while revising though! Leigh is a huge Games of Thrones and Lord of the Rings fan! Most of the fantasy novels Leigh read while growing up were set during the medieval era, but she wanted to do a little something different. Russia felt like the right fit for her books. Meanwhile, Leigh chose the 1800s in general because she wanted to explore the tension between the rise of modern technology and magic. Six of Crows has five POVs, a heist, a prison break, romance - it's essentially six kids trying to pull off a suicide mission. While Shadow and Bone is your 'chosen one' story (girl has powers, ends up leading a revolution), Six of Crows is story about the 'not chosen ones'. They do not have grand destinies, they're not kings, queens, princes or princesses. They're not looking to start a revolution - they just want to survive. One impossible heist - yeah! You should order it now! Leigh might write a book about Sturmhond in the future. She believes that there's a much bigger story that exists for this character. She has always known his story and who he'll end up with. On what inspired her to write the Grisha world, it's basically the realization that our fear of darkness never quite goes away, and the question "What if darkness was a place?" When asked about the character of Darkling, Leigh always felt that the most dangerous people in our lives don't necessarily show they're evil right away. They're beautiful, brooding, charismatic, and incredibly manipulative. Leigh believes that a character can be a love interest, and the antagonist at the same time. Leigh is not a fan of ship wars because of how mean people can be to each other because of them. 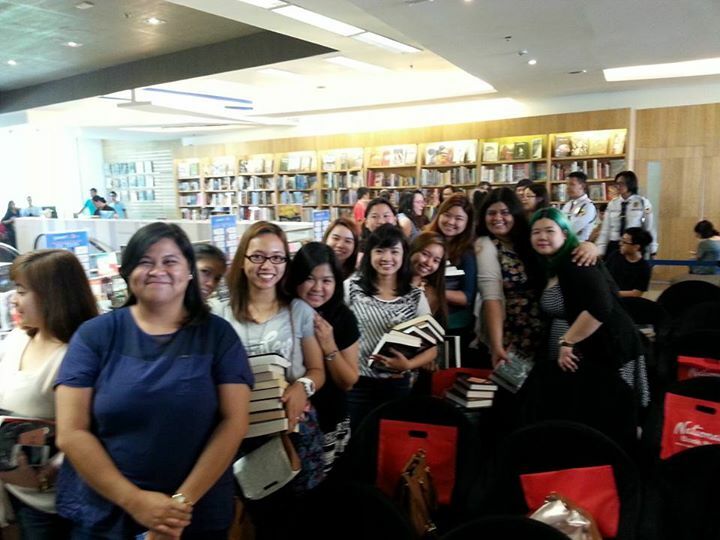 One thing she appreciates about Filipino readers is that they seem to be #teamBook, and that they're just enthusiastic about the story. 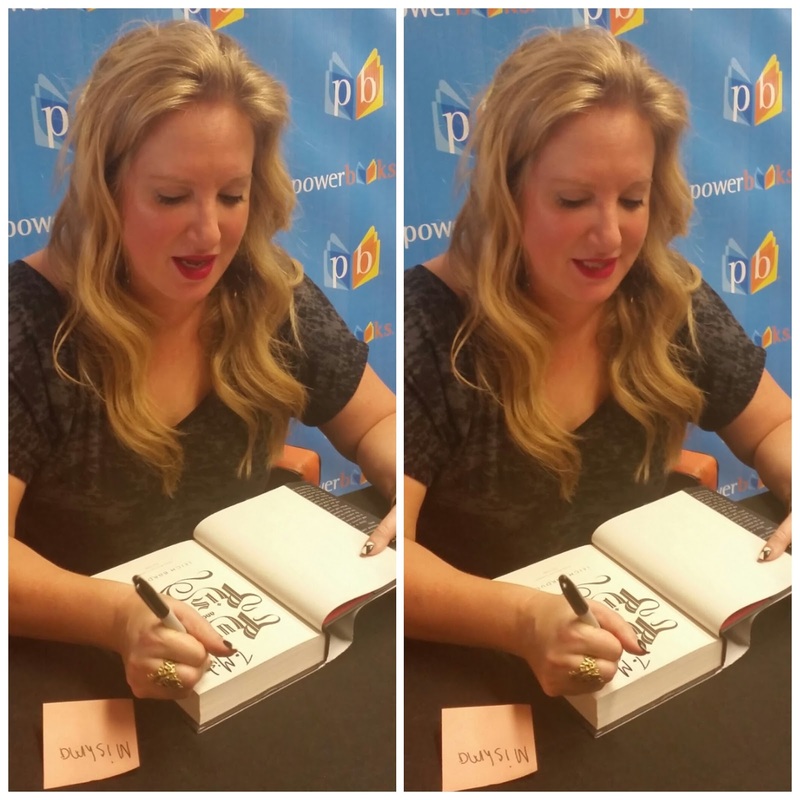 Leigh doesn't set out to write love interests - she writes characters. They all have their own agendas and their journey to go on. She believes that if a character is simply a hero, a villain, or a love interest, they get really boring really fast. We might get a novella about Alina's origins! Leigh didn't pull a Tolkien - instead, she created language to suit the moment of the world. 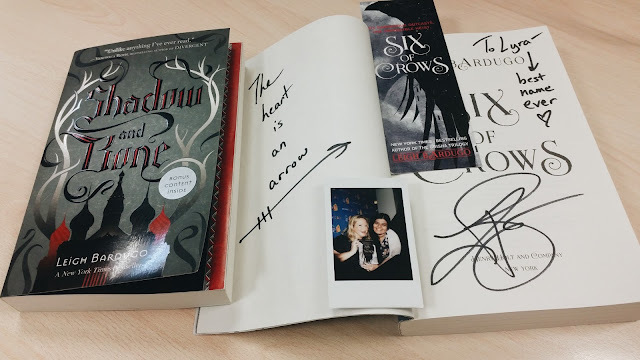 I asked Leigh how her life changed after the success of the Grisha trilogy, and talks about how she now has her dream job. Her life is completely different since becoming a published author, and she owes it all to the readers who spread the word about her books. 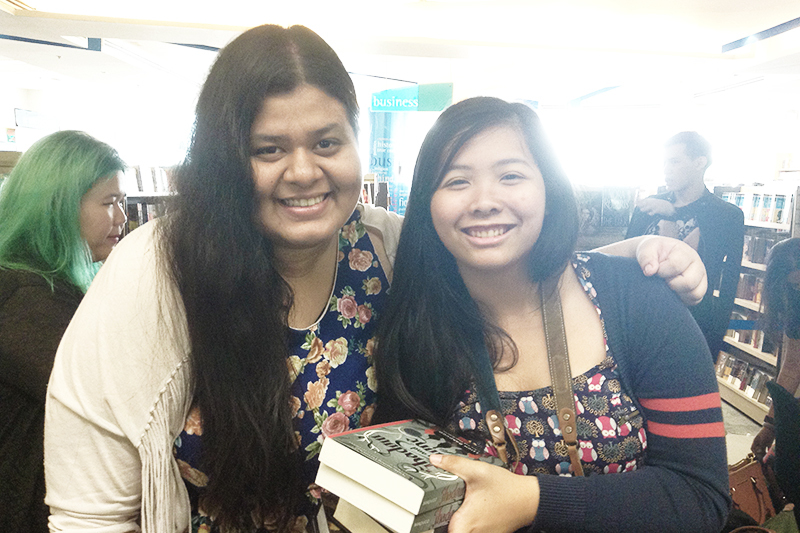 When my turn to meet Leigh finally came up, (as usual) I got a little shy and tongue-tied. 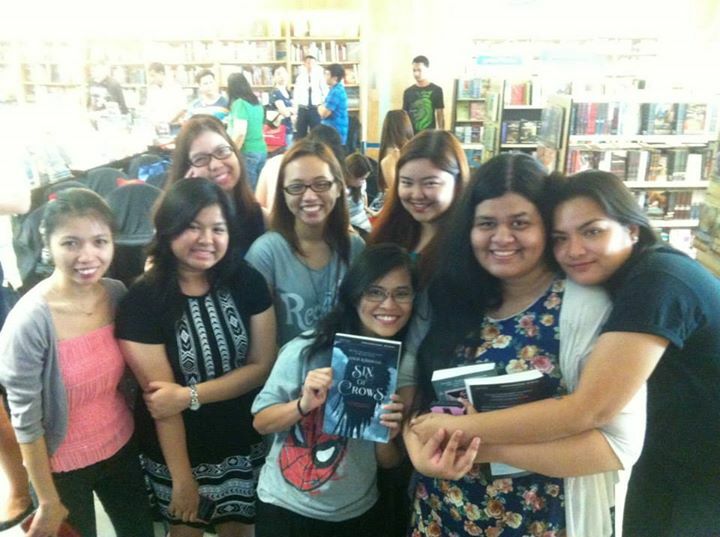 (I'm standing in front of a famous author!!!) Leigh is so incredibly nice, and she immediately put me at ease. She's just so warm and friendly, and she really took the time to talk to everyone! We talked a little about my name (Lyra is also the name of the protagonist of Philip Pullman's His Dark Materials), and she encouraged me to read more fantasy. (I definitely will, Leigh!) All in all, meeting Leigh is such a beautiful experience that I will never forget. 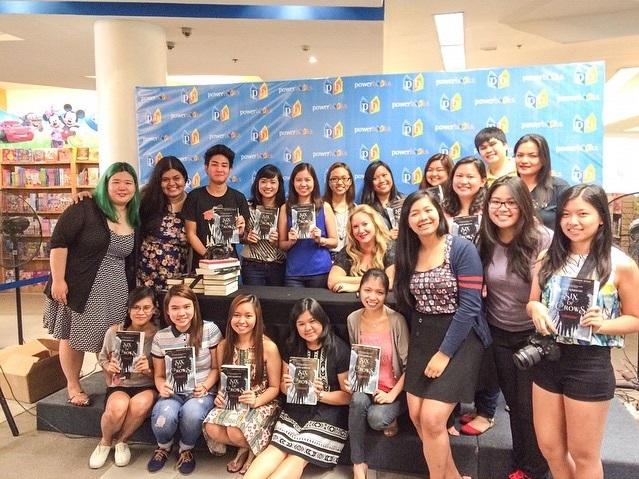 Thank you so much to National Bookstore for bringing Leigh to the Philippines! AHHHHHHHHHHHHHHHHHHH! SO ENVIOUS RIGHT NOW!!! 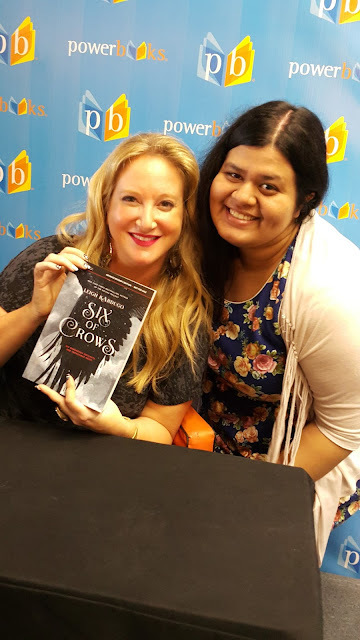 Not only that you got to meet her, but also because you got Six of Crows. I am desperate to get my hands on that beauty. 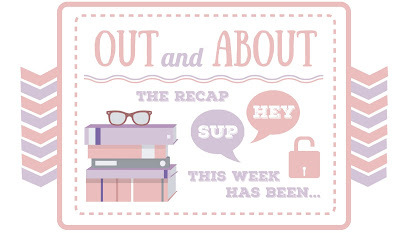 Wonderful recap!!! And WOW, I am a little envious of your name. I have loved the name Lyra since I first read Northern Lights, I am determined to name my daughter that if I ever have one.